The Polish economy is in high gear. I’ve looked at the data from last year and forecasts for 2019. Overall 2018 was a period of very solid growth, marked by an increase in wages and consumption, combined with minimal unemployment. The Polish Central Statistical Office published its report on average wages in the enterprise sector in December 2018. The annual growth trend has continued with monthly average wages surpassing the level of 5000 PLN gross, setting a new record. According to the European Commission, in 2019 Poland is to remain a leader in terms of wage growth. While according to its estimates the average EU wage growth is roughly 0.8 percent, we may expect wages in Poland to increase by as much as 7 percent. The National Bank of Poland estimates wages will rise by 6.8 percent. This data can be set alongside Poland’s low unemployment rate – by the end of November 2018 joblessness was at 3.8 percent, while forecasts are for it to drop to 2.9 percent in 2019. Lower numbers will only be seen in Germany and the Czech Republic. 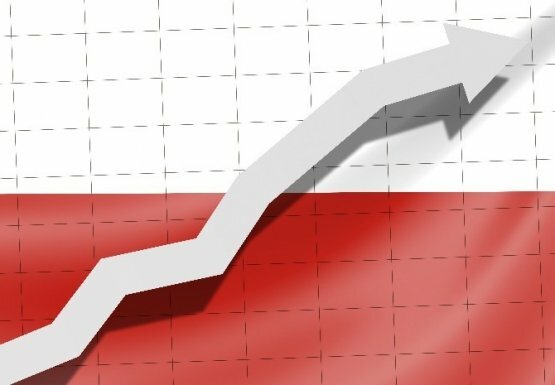 According to the Polish statistical office initial forecast, Poland’s GDP growth in 2018 was 5.1 percent. “That’s an A-grade economy”, according to analysts. In 2019 we may expect a slightly lower result, it will still be a net positive for the country. Low unemployment numbers combined with high wages are the major drivers behind Poland’s consumption boom. The spending increases have also contributed to changing habits among Polish consumers. It is evident at EPP that shopping centres themselves have become destinations. We have the data to observe that Poles not only enjoy shopping, but they appreciate the entertainment and dining options available to them as well. Despite the Sunday trading ban, shopping centres are experiencing healthy footfall and sales levels. This consumer spending provides the fuel for Polish economic growth. We’ve got a good year ahead of us. Personally, I believe that rising wages, record low unemployment and impressive economic growth will attract more investors to Poland, confirming its position as one of the leading investment destinations in Europe. Jacek Bagiński is the CFO of EPP, the leading owner of shopping centres in Poland.